Clues to the climates of the distant past can be found in the rocks. Some exposed rocks in the Sahara show scratches made by moving ice some 480 million years ago, and thick layers of red sandstone in northern Europe were once sand dunes that built up in scorchingly hot deserts. 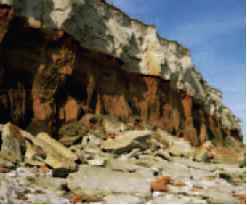 The thick white chalk rock at the top of this English cliff was formed in a shallow tropical sea during the age of the dinosaurs. Evidence from rocks, fossils, and other sources shows how Earth's average temperature has changed since it formed 4,600 million years ago (mya). During most of geological time, it has been warmer than it is now, but with ice ages during the Precambrian and Palaeozoic eras. The Mesozoic age of dinosaurs was a warm period, but temperatures fell during the Cenozoic era until they reached the coldest phases of the current ice age. Over millions of years, the shifting plates of the Earth's crust move the continents into new arrangements, changing their climates. Some 250 million years ago, this process had created the "supercontinent"of Pangaea, which had a very dry desert climate because most of it was so far from the ocean. When dinosaurs roamed during the Mesozoic era of 250 to 65 million years ago, the world had a mainly warm climate. Near the end of the era, the average global temperature was 9°F (5°C) higher than today. Some volcanic eruptions can propel dust and gas into the stratosphere. 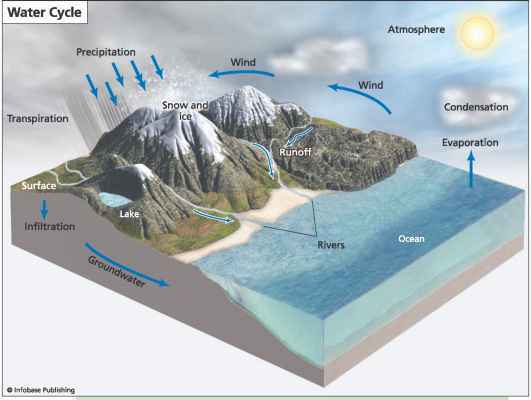 The gases include carbon dioxide, water vapor, and sulfur dioxide. The water and sulfur form droplets of sulfuric acid that can drift in the stratosphere for years, obscuring the Sun and causing global cooling of 1.8°F (1°C) or more. But the carbon dioxide stays in the atmosphere for over a century, causing global warming. Massive eruptions in the past may have dramatically changed the climate, but recent eruptions like Mt. Pinatubo (left) have not been big enough. From the 1300s to around 1850, the Northern Hemisphere suffered a "Little Ice Age,"which reached its coldest point in the mid-1400s. 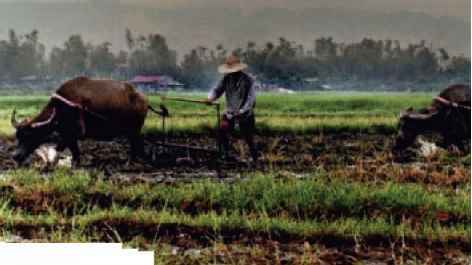 In Europe harvests failed and people starved. 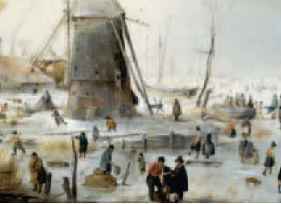 The bitterly cold winters created the frozen landscapes portrayed in many paintings of the period, such as this one painted by Dutch artist Hendrick Avercamp in the early 1600s. The cause of the Little Ice Age is still not known, but it may have been related to volcanic activity.